Trumbull, CT—January 2, 2018 – TMC (News - Alert) today announced ZeroOutages has signed on as a gold sponsor to SD-WAN Expo being held February 14-16, 2018 at the Greater Ft. Lauderdale/Broward County Convention Center in Fort Lauderdale, Florida. At SD-WAN Expo, enterprise executives, service providers, and technology vendors will connect to learn about and discuss how this market is growing and evolving, and how all three of these constituencies can make the most of the SD-WAN opportunity. Collocated with ITEXPO (News - Alert), one of the largest remaining communications and technology conferences in the world, SD-WAN Expo is the dedicated forum for the industry to come together and learn. 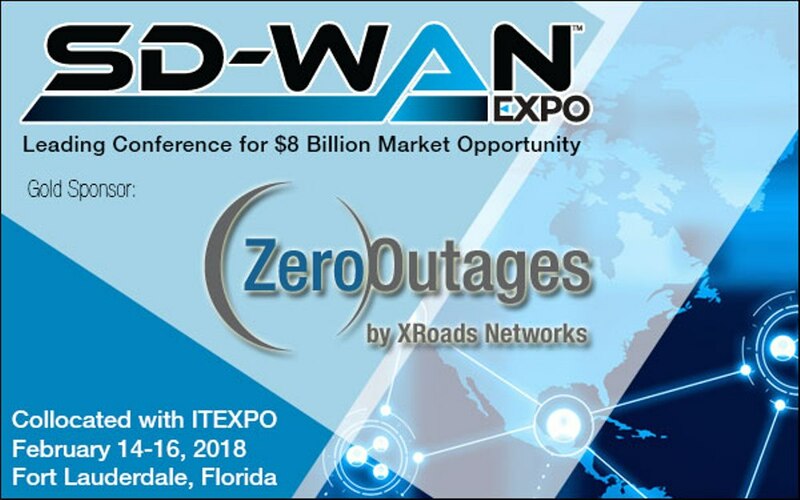 “ZeroOutages, a leader in SD-WAN since 2009 with over 4000 deployments around the world and a specialist in multi-site SD-WAN, is proud to announce our attendance at SD-WAN Expo this coming February.” Daren French (News - Alert), VP Business Development, ZeroOutages. ZeroOutages is the world's first carrier neutral managed service provider for WAN circuits. Providing SD-WAN with Intelligent WAN Routing, QoS Optimization, and Redundancy for Internet and WAN connections (Internet or dedicated / MPLS). ZeroOutages ensures uptime for customers through an array of patented WAN routing and traffic shaping functionality.